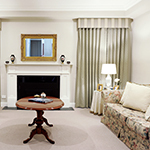 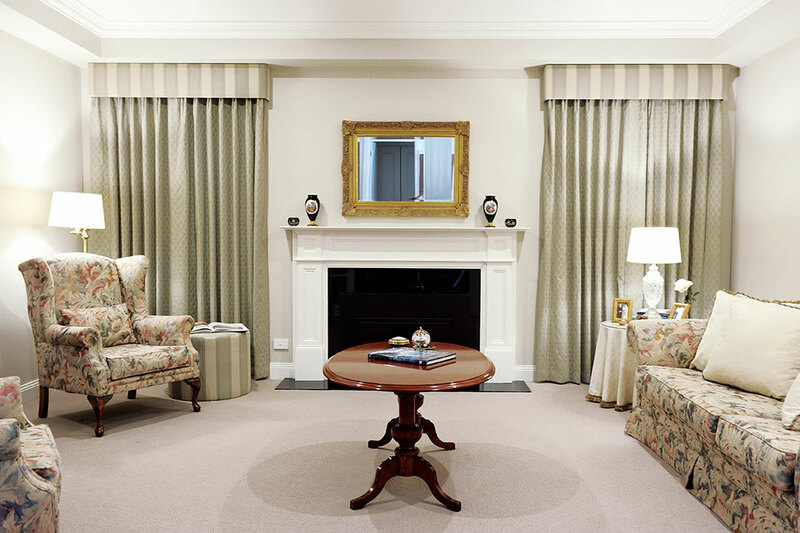 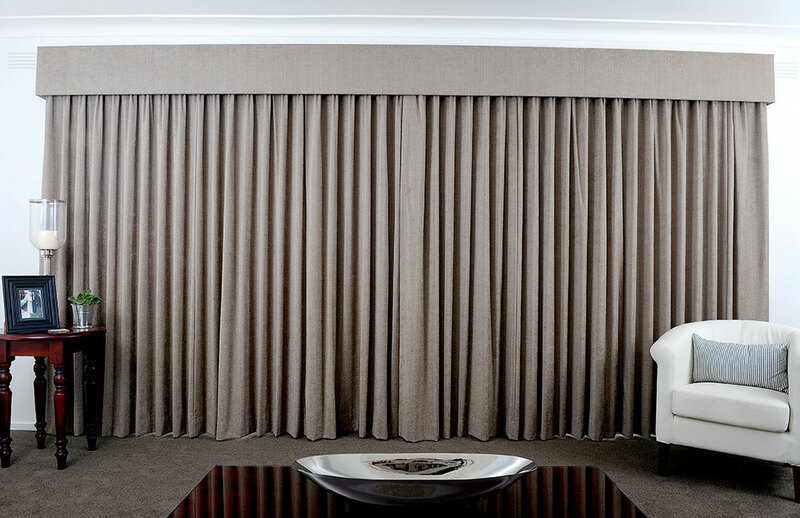 Drapes, sheer curtains and pelmets instantly add warmth, softness and character, gracefully finishing a room. 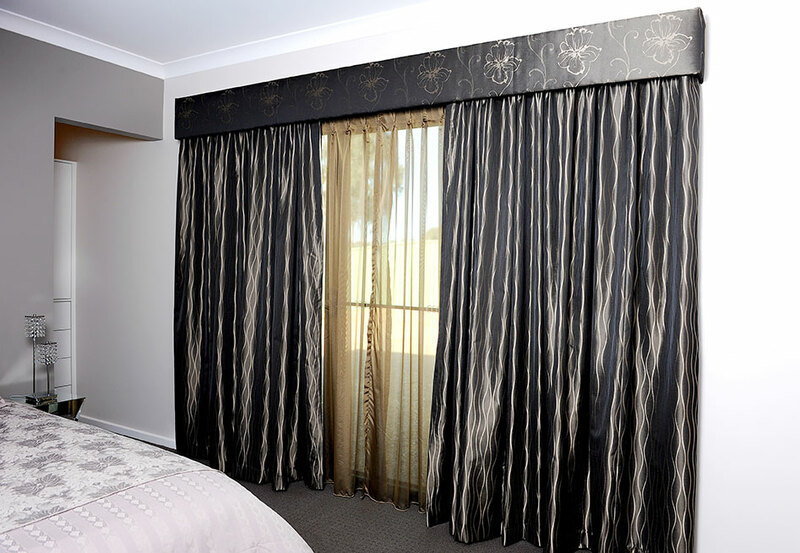 Whether your choice is for a simple yet elegant style of curtain, or something more formal with classical details such as pelmets and tie-backs, we can help you create the look and feel that suits the design and interior décor of your home. 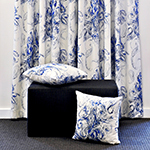 We have a wide range of quality decorator fabric samples from well-known textile manufacturers — such as Warwick, Zepel and Sanderson — in an extensive variety of colours, patterns, textures and prints. 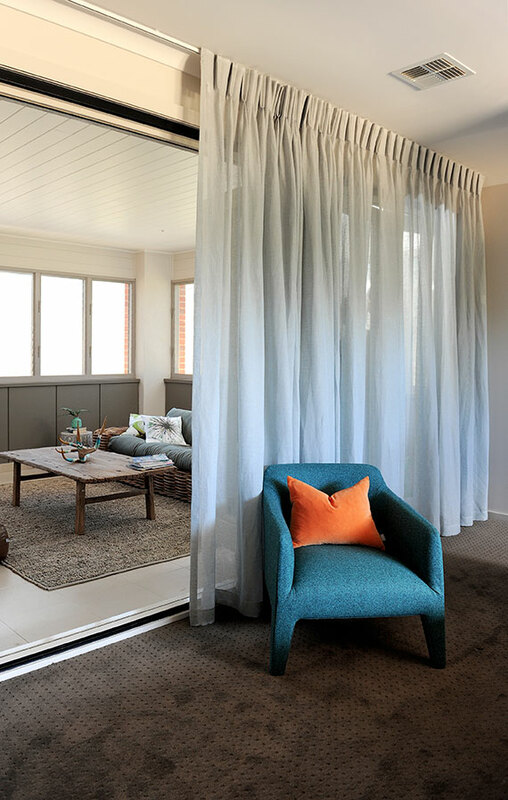 This array of gorgeous fabrics is sure to inspire you with creative window furnishing ideas! 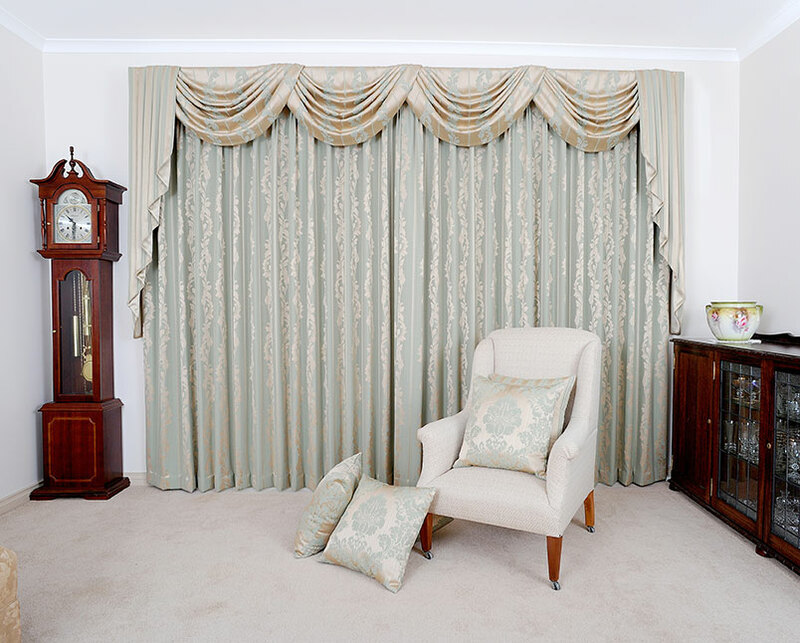 What’s more, if you’re having difficulty finding a particular fabric or textile, we’ll happily do all we can to source it for you. 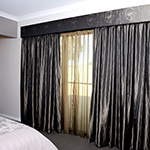 Curtains are not only decorative but also an extremely practical addition to any home. 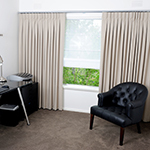 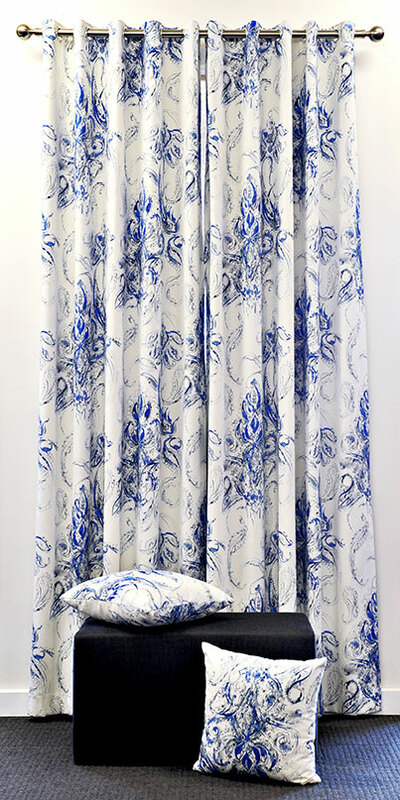 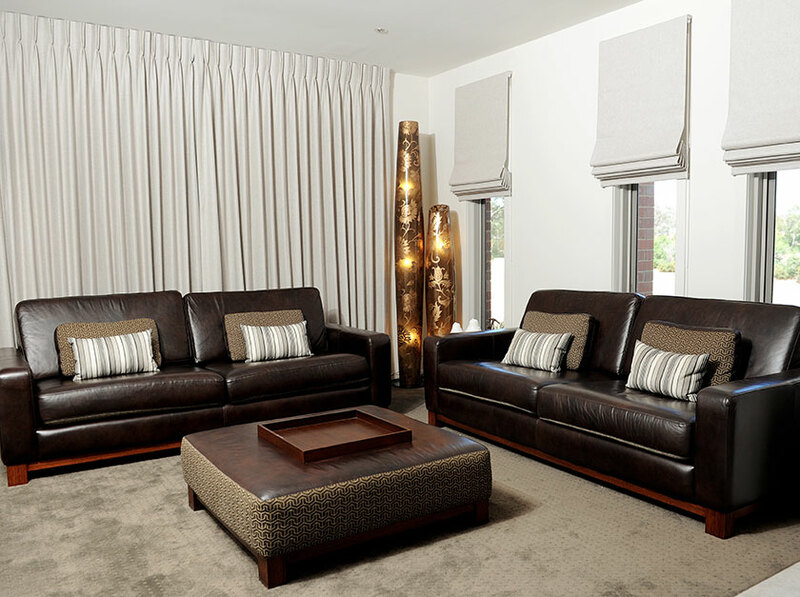 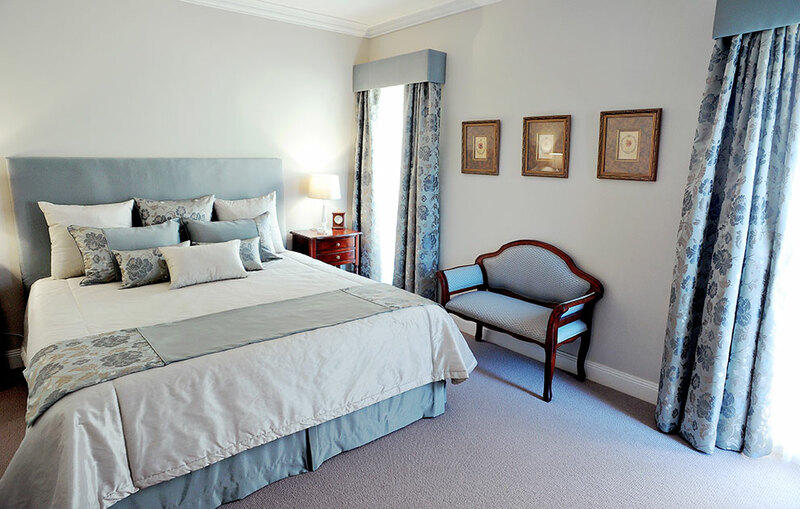 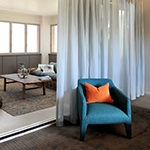 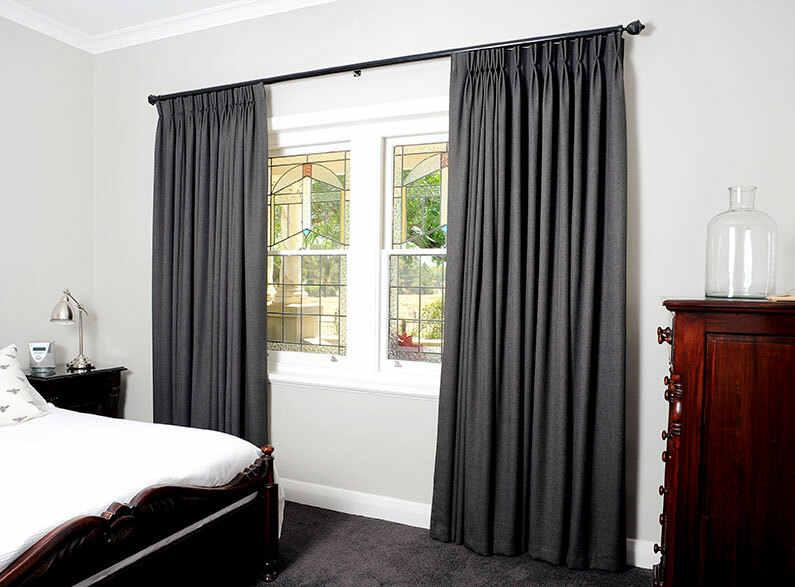 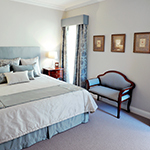 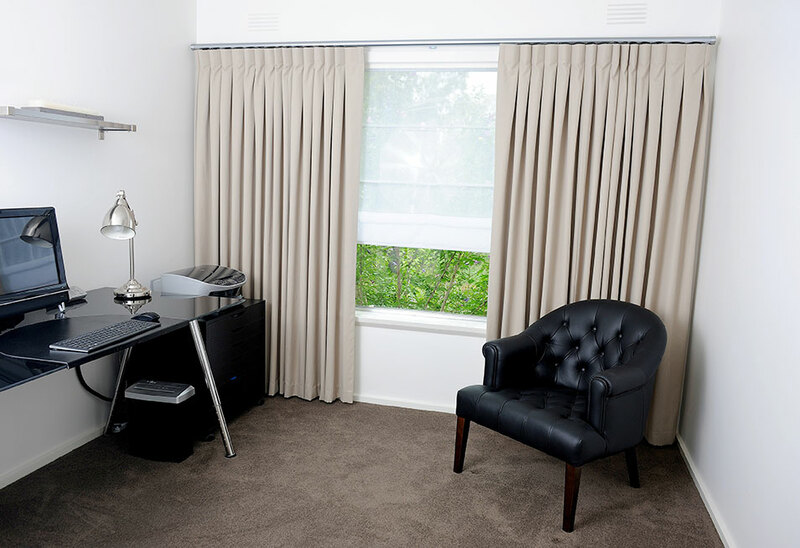 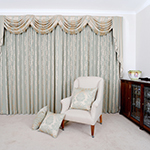 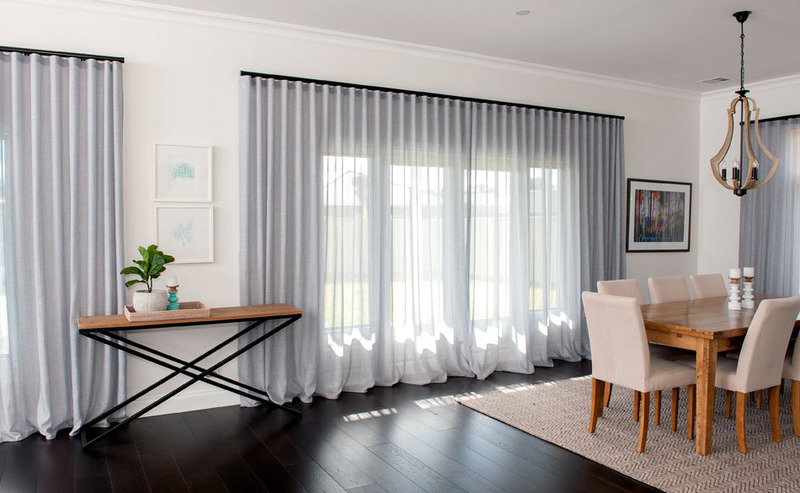 Coordinating lined curtains with pelmets provides significant insulation, helping to keep a room both warm in winter and cool in summer with their sun-blocking properties. 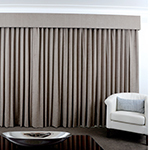 This combination of curtains and pelmets is also perfect for children’s rooms and night-shift workers. 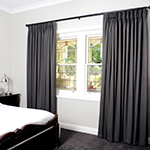 Curtain sheers soften a room and allow daytime privacy if required, while also offering a window treatment that maximises light. 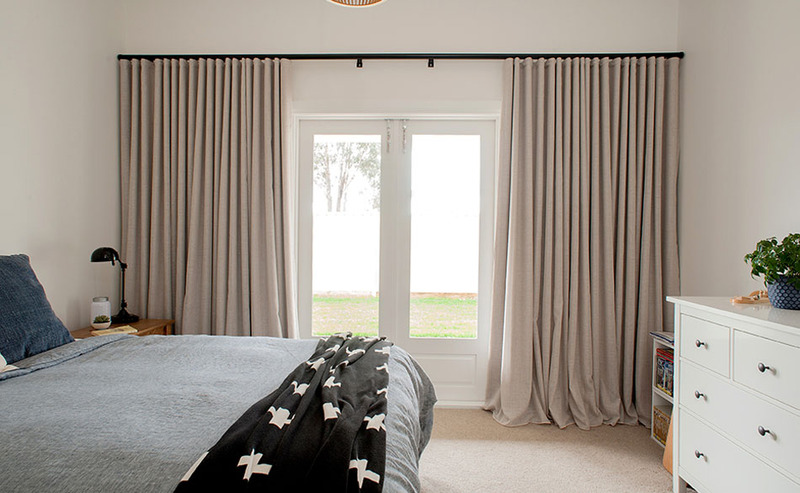 Sheers also work beautifully with modern honeycomb or cellular blinds, moderating angular lines and completing a room. 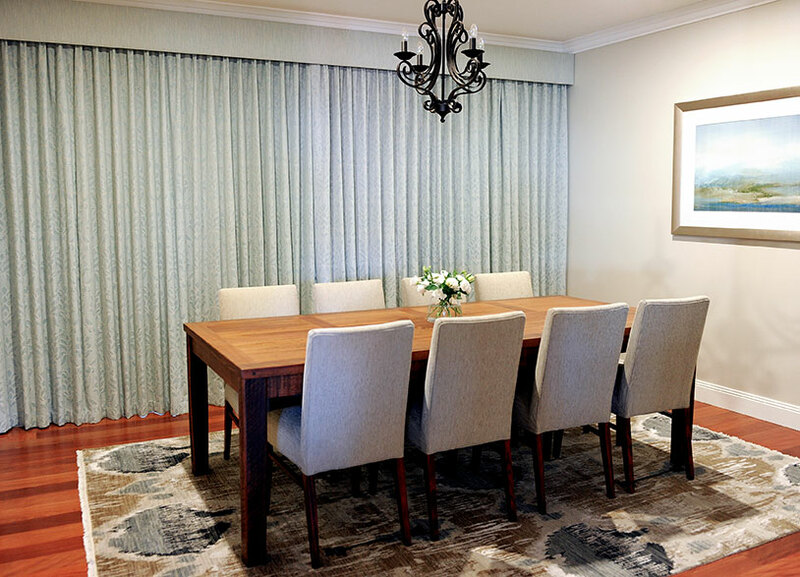 Here are just some of the beautiful interiors created with our custom drapes and curtain sheers.